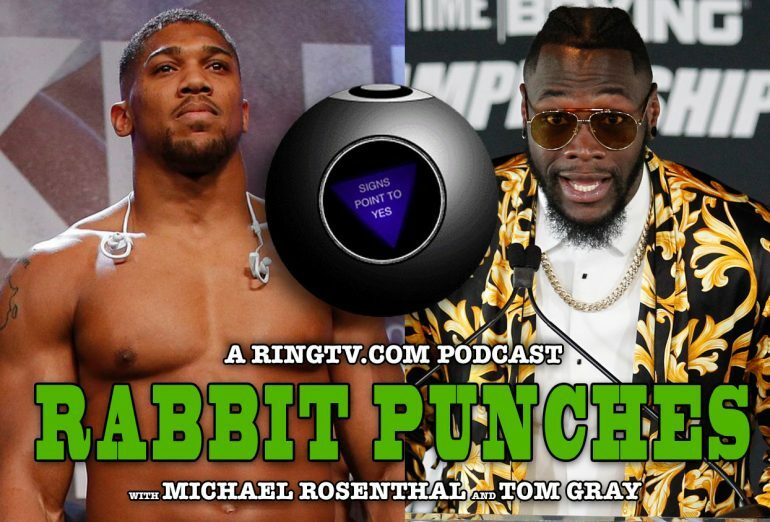 Rabbit Punches podcast 17: Joshua-Wilder, anyone? 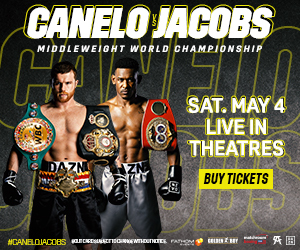 Anthony Joshua vs. Deontay Wilder seems inevitable, but when? 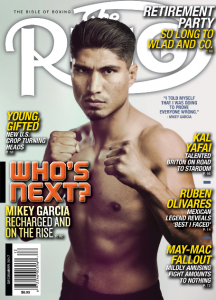 RING Magazine Editor Michael Rosenthal and U.K. Correspondent/Editor Tom Gray rake through the latest trash talk to extract an answer to that, and discuss the WBC’s proposals for open scoring and a new weight class for really, really big people. Also: more! Rabbit Punches is available on iTunes! (Note: New episodes can take a day or two to appear and be searchable in the iTunes store, but you’ll get them immediately through the feed if you subscribe.) Or listen to and download the file from the player above. You’ll find the entire Rabbit Punches archive by clicking the PODCASTS link at the top of this page.